Assist Homecare services provides numerous services to help families just like yours. We provide everything from companionship tasks such as taking to appointments and light housekeeping, all the way to skilled nursing tasks such as injections and wound care. Yes. Every Caregiver is an employee of Assist Homecare Services. To help ensure the safety and well being of our clients, we provide initial and ongoing training, perform a criminal history background clearance and then cover each caregiver with general liability and workers’ compensation insurance. Yes. We encourage your involvement in the decision-making process. And with our proprietary screening and selection system, you can rest assured that we do our best to take the guesswork out of matching the right caregiver to you and your family. However, you must be satisfied. We always try to accommodate any requests you may have for a change in Caregivers. How often will a Caregiver visit me? The frequency of Caregivers visits and the services provided are based on your preferences and your personal plan of care. You or your responsible party may change your plan of care, increasing or decreasing the number of visits or services provided, in order to provide you with the best care for your needs. Our services can range from a single visit per week, up to 24/7 care. 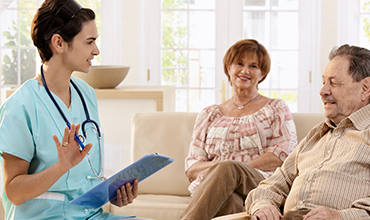 How does Private Duty Home Care differ from Home Health and Hospice? Private Duty Home Care is normally not ordered by your physician. However, depending on the level of care, it should be coordinated with your physician. Unlike Home health and Hospice where you just have ?visits? being made, private duty home care provides Caregivers that remain in your home for ?shift” work. The Caregivers/Nurses that come are not there to just complete a single task; they will provide all of the care needed as well as complete all household tasks to keep you at home including, but not limited to medication reminders, taking to appointments and errands, bathing and grooming assistance, light housekeeping, meal preparation, etc. This care is usually 3-4 hours all the way to 24 hours a day depending on your needs. Home Health Care refers to health care ordered by a physician and provided in the home by skilled medical personnel. This may include insertion of catheters, dressings and wound care, I.V. therapies, physical, occupational and speech therapy. These procedures and therapies are provided by skilled and licensed individuals including nurses and physical, occupational and speech therapists. Many home health companies have home health aides who are certified nursing assistants (CNAs) who can provide bath aids as long as the individual is also receiving skilled nursing care or other therapies. This care is task oriented which means the nurses and therapists that come will be there to complete a specific task that will usually last no more than one hour. 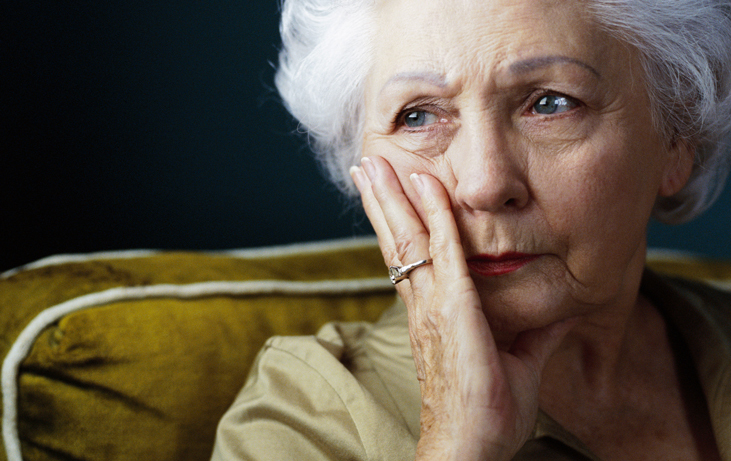 Home Health does not provide ongoing care in the home. Hospice is a philosophy of care as well as an organization that provides care. The hospice philosophy or viewpoint accepts death as the final stage of life. The goal of hospice is to enable patients to continue an alert, pain-free life and to manage other symptoms so that their last days may be spent with dignity and quality, surrounded by their loved ones. This service is ordered by your physician and is usually covered by Medicare/Medicaid and your health insurance. Hospice is similar to Home Health in that they come in for ?visits? and do not normally have care providers that will stay with you throughout the day. If you are on Hospice and need a caregiver to remain with you throughout the day and night you will need to hire an Private Duty Home Care agency to provide Caregivers for you. Hospice does have respite care or volunteers that may be able to provide some of that care. Do you provide services to those not at home? Yes. Assist Homecare Services can provide companionship or personal care to residents at assisted living communities, nursing homes and or have hospital stays who may desire additional attention or personalized care. Does my insurance cover Private Duty Home Care services? Assist Homecare Services is very comfortable in dealing with insurance companies. With your approval, we can check your coverage and let you know the results. What if I need to speak to someone after business hours? Assist Homecare Services office staff is available 24 hours a day, 7 days a week, 365 days a year. When the office is closed, there is an on-call person available to help you. How do I get services started? Give us a call! We’ll arrange a time to visit you, your family and/or any authorized representative to fully discuss your particular home care situation and how Assist Homecare Services can help.